Berry White is thought to be a humorous take on the name Barry White, the American crooner known for his distinctive deep voice. This mix of Blueberry and White Widow is distinctively deep in its flavor and effects. Blueberry is famous in its own right, having a reputation of being one of the most fragrant and flavorful buds available. White Widow bequeathed to its offspring, Berry White, its heavy coat of trichomes. The result is a very tasty weed with a high THC content, a combination much sought after. At 22% THC, Berry White is tasty while also being balanced enough for a casual user. This makes it a great medical strain for those who need it medically but are otherwise unfamiliar with marijuana use. It’s a spoonful of sugar to make the medicine go down for beginners. May Relieve Berry White buds are a great medical marijuana strain. It can help address musculoskeletal pain such as muscle cramps, muscle spasms, back pain, sciatica, tendonitis, and Carpal Tunnel Syndrome. It can address inflammatory conditions like arthritis, osteoarthritis, and Crohn’s disease. Berry White weed can attenuate neuropathic pain such as in conditions like Fibromyalgia, shingles, Multiple Sclerosis, and Peripheral Neuropathy. It can fight nausea, improve appetite, and fight insomnia. Indoor/Outdoor Yield Grown indoors, a yield of 16 ounces per meter squared can be expected. Grown outdoors, cultivators can garner 18 ounces per plant of powerful cannabis. Flowering time Berry White plants will flower in about seven weeks and be ready to yield its bounty of sweet tasting weed, full of THC and other cannabinoids and terpenes. Harvest Berry White will flower in early October when grown outdoors. Indoors, photoperiodic Berry White plants must be put on a light schedule to induce flowering after 7 weeks. Plant Height Berry White marijuana is of a medium height, between 30 and 80 inches tall. Type Photoperiodic. Lighting schedules such as 12 light, 12 dark should be used to induce flowering at 7 weeks. Adverse effects Berry White marijuana has few side effects compared to comparable pain medications like opioids. A common side effect is dry mouth. Rare side effects include paranoia, anxiety, and panic attacks. Berry White is a flavorful and potent marijuana plant. Its parent Blueberry is renowned for its sweet fruity flavor, which it bequeaths to its offspring Berry White. White Widow is known for its high THC levels and heavy coat of THC rich white trichomes. Berry White has the best talents of its parent strains. The high trichome count of Berry White as well as the great berry flavor of Blueberry make it a suitable medical strain for beginners. The Berry White plants are of a medium height. 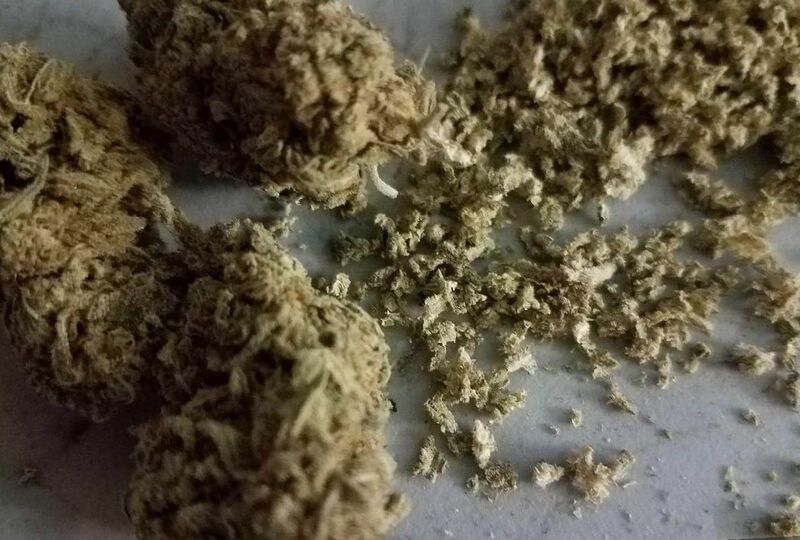 Its dense buds are covered in powdery white trichomes and light green to orange hairs which are the pistils and stigmas. The aroma of Berry White is pungent and delicious. The name Berry White is likely a pun on Barry White, an American singer known for his very deep and powerful voice. Similarly Berry White has a deep and powerful fragrance. It includes the smell of Blueberry, berry, fruit, sweetness, and deep pine from the blanket of white trichomes covering the buds of this beautiful plant. Growing weed from Berry White cannabis seeds and cuttings is said to be fairly easy. Berry White needs a warm place to grow, which is dry and sunny. Indoors, cultivators must first choose a reasonable place to grow by estimating how much room they will need. Then they can set up lights and 5 gallon buckets with overflow holes at the bottom for their soil and fertilizer (Flower Power). Set up a watering and lighting plan. Photoperiodic seeds will need to be exposed to a light schedule such as 12 dark, 12 lighted hours in order to flower. Berry White seeds will flower in about 7 weeks. You can expect a harvest of about 16 ounces of blueberry tasting weed. Growing outdoors, cultivators will find their burdens lifted as this is a notoriously easy strain to grow outdoors. It is strong and resistant to disease. Harvest will be in early October so choose a warm, sunny spot with good soil and nurture your plants. Growers can expect about 18 ounces of prime time weed per plant. 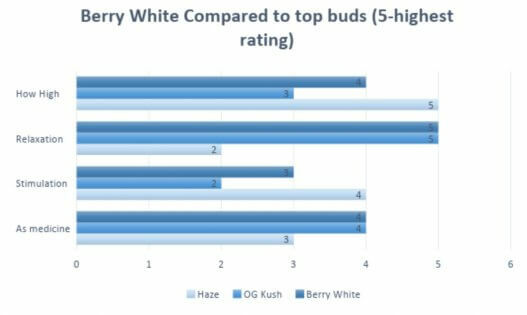 Berry White medical cannabis has THC levels as high as 22 percent. Because of its delicious blueberry flavor, it is a good starter strain for new users who can benefit from the high THC level. It has the spoonful of sugar taste that makes the medicine go down. 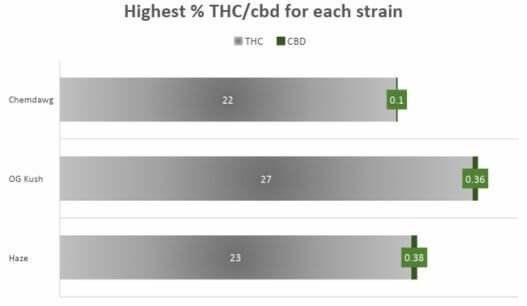 The high THC levels can easily address musculoskeletal pain like back pain and sciatica, Carpal Tunnel Syndrome, and tendonitis. It can also be used to fight inflammatory conditions such as arthritis and Crohn’s disease. Berry White Medical Marijuana can fight neuropathic pain, such as from shingles, fibromyalgia, or Multiple Sclerosis. Berry White weed is typically used for its mood boosting effects. Many users are dealing with daily chronic stress. Others are dealing with anxiety, depression, ADD, and ADHD. 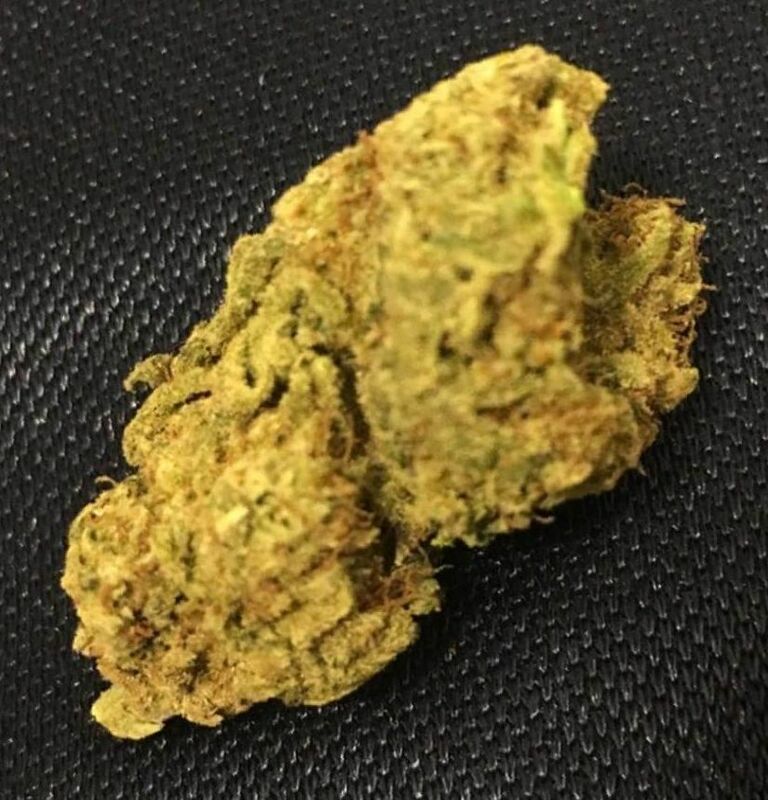 Berry White is mostly an Indica and can provide hours of relaxation to the patient weighed down with stress and worries. In ADD, it can help soothe psychomotor agitation and help to induce focus with its Sativa led cerebral stimulation. Berry White is often doctor recommended for anxiety and depression. The Indica effects provides relaxation along with an anti-inflammatory effect, both of which can help with anxiety and depression. For melancholic depressives, the balanced Sativa stimulation may help without causing anxiety as a side effect. Berry White weed is much preferred as a weapon against nausea, often associated with treatments such as chemotherapy and radiation for cancer. As well, those with post-surgical nausea, and nausea associated with conditions like dysautonomia and motion sickness may benefit from Berry White marijuana’s strong anti-emetic effect. Berry White weed is a great strain to increase appetite. The Blueberry flavor will get you feeling the munchies in no time. This can be important to those with wasting disorders such as cancer, HIV, and anorexia, allowing them to gain the weight they need to survive and recover from their conditions. Berry White is heavily effective as a mood lifter. Like its blanket of white trichomes, it will wrap your body in a blanket of warmth, pain relief, and tingling euphoria. This sweet tasting weed will ease your worries and make it possible for you to concentrate on the things which you have become engaged. You may want to relax with friends, have deep conversations, or spend time with a loved one. Berry White marijuana will give you the munchies, deepening your appreciation of food. Lastly, Berry White cannabis makes a great night cap to put you to sleep once the day is over. Enjoy!